OTTAWA, ON / ACCESSWIRE / April 5, 2018 / Amika Mobile® is pleased to announce that its Amika® Mobility Server (AMS) platform for critical and emergency communication has been selected as the Best Emergency Communication Solution by Security Products and Security Today Magazine for the fourth year in a row after having won in the same category since 2015. The AMS was selected for this award as it continues to push the boundary of innovation in crisis communications in AI-based geofenced targeting, intelligent filtering and response integrated with automated gunshot detection and instant lockdowns. "The GOVIES 2018 award is continued excellent recognition for Amika Mobile as we push the boundary to save lives. The AMS ability to initiate Lockdowns on the first detection of gunshot, according to First Responders, is the key method to saving lives in active shooter situations. Keeping people tracked and informed as the crisis unfolds is also critical as they shelter in place, and this is where our 2-way communications on every mobile device be it a phone, tablet, or desktop, is already saving lives," said Amika Mobile® Co-Founder/CEO Sue Abu-Hakima. Amika Mobile has pioneered technology that addresses two gaps in public safety and security. First, AMS automatically discovers wireline or mobile devices by location - especially important for airports, sports arenas, entertainment venues and campuses where stakeholders and visitors must be given clear instructions based on where they are when an emergency strikes. Second, AMS automatically detects and intelligently manages dynamic sensor events triggered from disparate physical security systems mapping locations as the critical situations unfold. Such dynamic events include gunshot detected, forced door entry, wall or mobile Panic, card access under duress, detected motion from cameras, fire panel events, etc. AMS automatically delivers identified events to appropriate security teams at command centers or while mobile. Amika Mobile® has delivered such ground-breaking solutions to customers for 7 years. Captured events from any monitoring sensor product are clustered and disambiguated to issue a single, group or mass alert. The events trigger alerts that identify and track recipients by dynamic locations or team membership over ANY layer of communication. AMS simultaneously alerts ALL layers including SMS, Pop-ups on SmartPhones, Tablets or Desktops, Email, VoIP, Callouts, Radios, Overhead Displays, Paging Systems, Facebook, Twitter, or RSS. MarketsandMarkets forecasts the Incident and Emergency Management Market to grow from USD 93.44 Billion in 2018 to USD 122.94 Billion in 2023. This growth is driven by many factors including increase in terrorism, workplace violence, active shooters, natural disasters and heightened awareness of the need for critical and emergency communication during a crisis. Amika Mobile will demonstrate its award winning AMS products at GSX (ASIS 2018) booth #1408 in Las Vegas, NV, CANASA booth #503 in Ottawa, Canada, and WBENC 2018 booth #1450 in Detroit, MI. 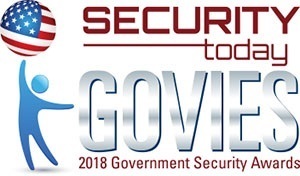 About US GOVIES: These awards honor outstanding security products for federal, state, tribal and local governments in categories critical to government security professionals and their partners in the private sector. Winners are selected by Security Today, and Security Products Magazine. See www.securitytoday.com for more information.